Mackenzie Thoms is a singer/songwriter hailing from the major West Coast cultural-center of Seattle, WA. Originally a deeply soulful R&B singer, Mackenzie began carving out his niche in the local club scene several years ago as an energetic EDM performer—partnering with up-and-coming local DJs, and gaining popularity through word-of-mouth appeal and a modern approach to viral marketing. 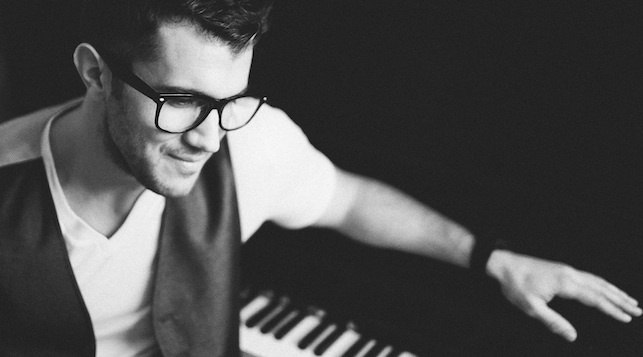 As a vocal musician and performing artist, Mackenzie lives for the stage. His musical motivation is fed by a passion for performance and the energy from the crowd. He describes performing on-stage as “the best feeling on earth” and as an “out of body experience” comparable to nothing else in the world. Mackenzie is known for his tenacious work ethic, his friendly laid-back attitude, his unceasing belief in himself and his unabashed passion for music. With an incredible musical range, and a finger on the pulse of modern music, Mackenzie has been able to intuitively place himself on the cutting edge of the pop-music curve—teaming up with forward-thinking DJs and putting himself in a position to create unforgettable music. 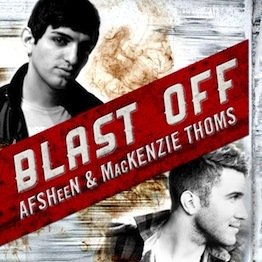 The release of “Blast Off” with L.A. producer AFSHeeN is just one example of Mackenzie’s undeniable pop sensibility. In a crowded field of talented performers, Mackenzie Thoms has found himself in the right place, at the right time—driven, motivated, equipped with unfathomable talent and blessed with that inexplicable “X” factor.